No matter what the weather, I’d planned all week to walk on the Saturday. The trouble is on Friday night, Melbourne had a mega drenching of rain, which was beyond a normal soaking. I woke up on Saturday morning with continual heavy rain, so I consulted my ‘pool’ of walks in the Glenn Tempest book, ‘Daywalks Around Melbourne’. If the weather is gnarly, I’m not big on forest walks, as I have a bit of a phobia about a whopping big tree landing on my head. If the forecast is lousy then I think coastal is the way to go. 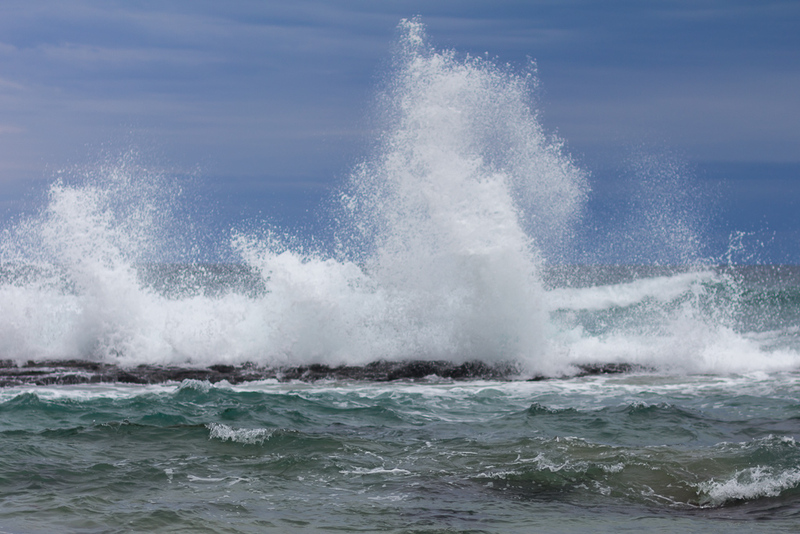 The possibility of big waves that look good in photos and the only real risk is some sand being blasted into the eyes. Eyes? Who needs them? 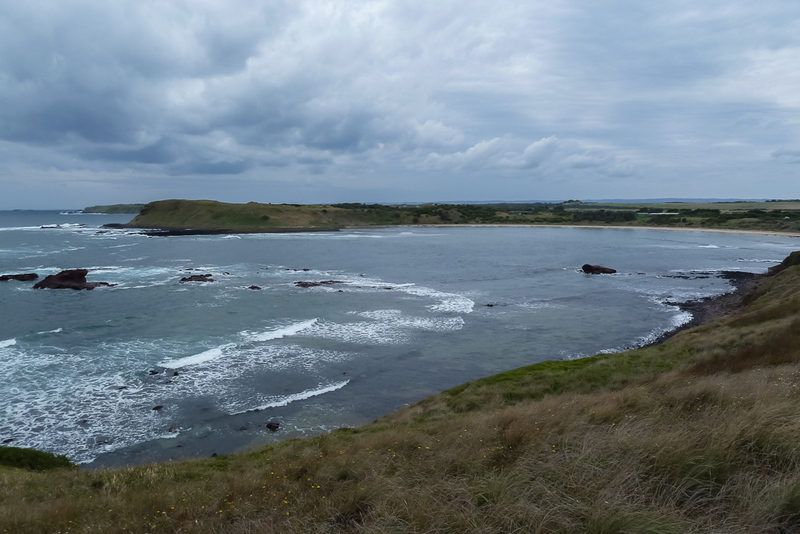 I ended up picking a walk on Phillip Island. It’s a bit of a drive to get to, but after visiting the place for the last 30 years, at least I’m familiar with it. There was a mention in the book how this walk can only be completed at low tide. I do plan well most of the time, but I forgot to check the tides before leaving. I was way too busy admiring a new jet black toupee I’d bought, to be worrying about tides. 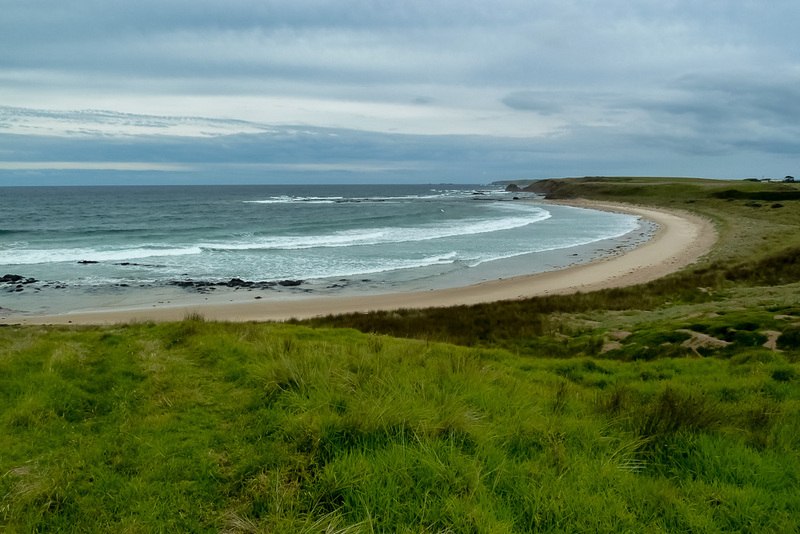 After some awkward driving, as the freeway to Phillip Island was blocked by flood waters (I’m not even joking), I arrived late morning at my starting point of Kitty Miller Bay. The weather was actually rather nice. 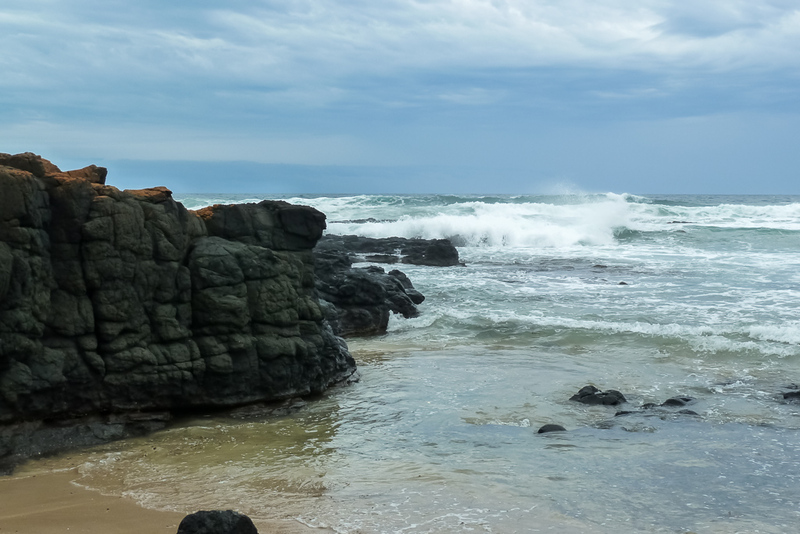 The plan was to walk to a spot called Pyramid Rock along the coast and then return. It seemed fine in theory, but I noticed the tide was looking sort of ‘in-between’, although I hoped it was still going out. I set out walking and the after about 10 feet I noticed an interesting sight. 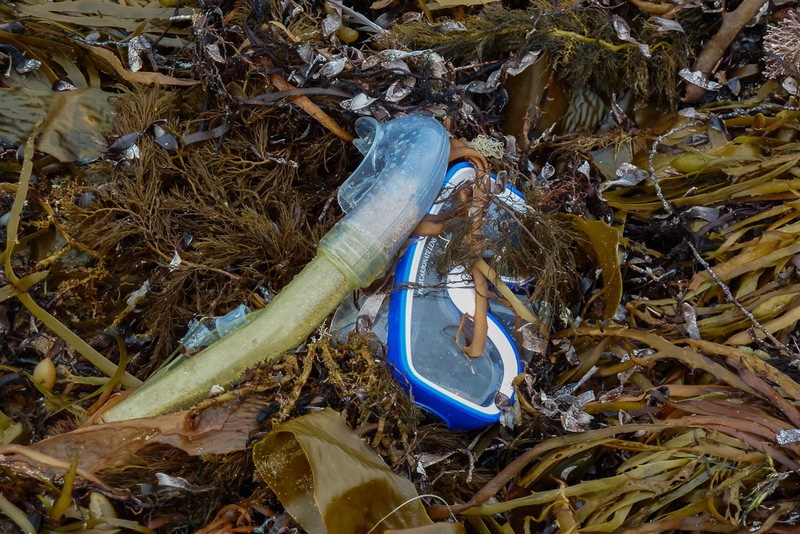 There was a set of goggles with snorkel attached sitting in a big clump of seaweed. Before picking them up, I made sure there wasn’t a head attached to them. They appeared headless, so I gave them a perusal. No blood either, which was a bonus. The snorkel was full of sand, but they were in pretty good condition otherwise. I’m not sure how someone loses goggles, but it’s similar to my single shoe thought. 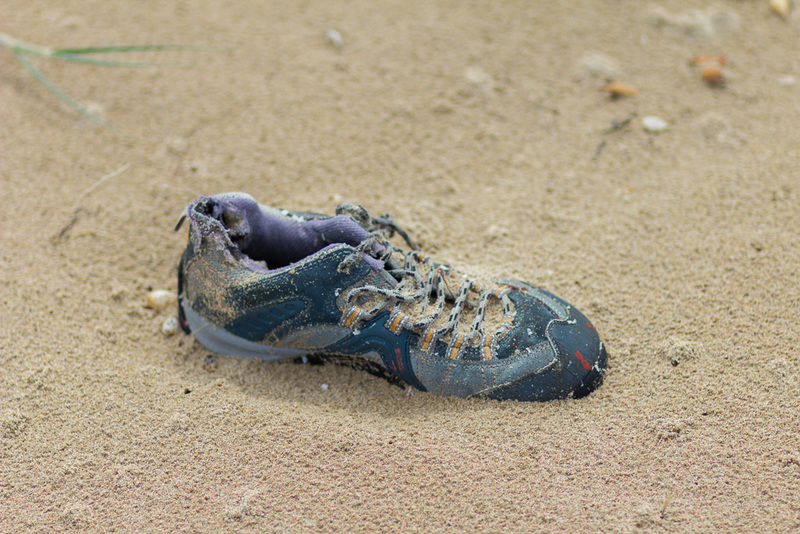 Every time I walk on a beach, I come across either a shoe or a thong. I’m not sure what happens to the feet attached to the shoe, but it’s one of life’s mysteries I guess. The goggles may have been Harold Holt’s? I’m not sure, but the only thing I felt I could do was keep them, so I backtracked and put them in the boot of my car. I set off again and was glad I was wearing my boots. Kitty Miller Bay has a zillion rocks that are perfect for rolling an ankle on. My left ankle has been weak since I’ve been about 10 years old. Whenever I walk, it cracks continually and I’ve had people say to me before, “What’s that noise?” There’s not much to say, other than, “Oh, that’s just my ankle cracking.” I reckon one day I’ll be walking and my foot will drop off. 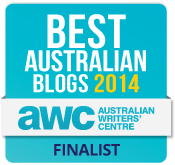 Certainly a disappointing outcome for a hiking blog. If it happens I may start a new blog, ‘LyingOnTheCouchCoveredInDoritosFiasco.com’. I then reached a small headland which is not high to climb over, but on the other side there’s a problem I’ve always been aware of. It’s a slope, which consists of clay and is always insanely slippery when wet. Since the previous nights monsoon it was wet and I went into ‘look out big boy, it’s dangerous’ mode. A few years ago I did this walk with Ben, and he performed a classic fall down the same slope and ended up at the bottom looking like the clay monster. I eased myself down the slope, but almost immediately I started an uncontrollable slide. Somehow I was upright, but sliding sideways with both arms performing the ‘whirl around my head’ method of balance. I’ve no idea how I ended up still on my feet, but I made it. I did have about 20 kilograms of clay on the soles though, which made me feel like I was trying out a new style of concrete hiking boot. After de-claying my boots, I stopped to check out the first interest of the day. 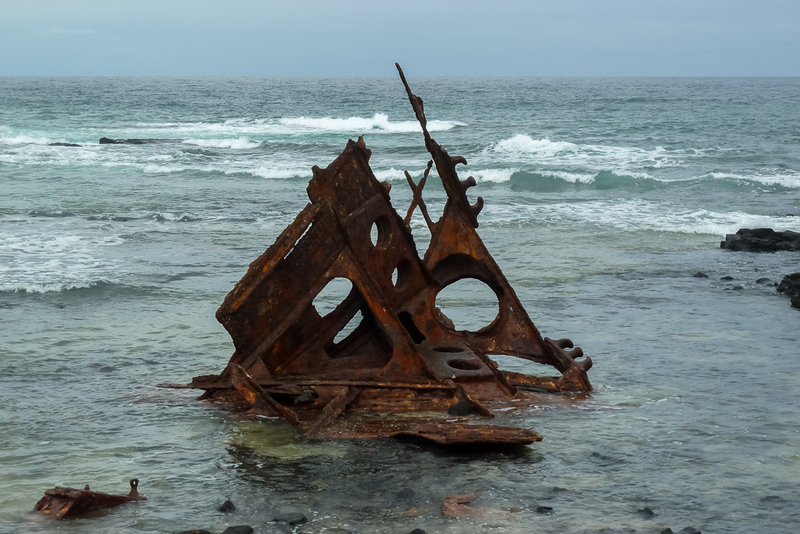 There are numerous pieces of the SS Speke which was wrecked off the beach in 1906 lying on the rocks. I was looking online for some information about it, but there isn’t anything I could attach a link to. All I can say is it was a really big boat and it sank. What more do you need to know? Oh yeah, one bloke drowned and ‘they’ say the bay is haunted. I’m not sure who ‘they’ are, but it seems like a good story. I’ve no spooky stories to tell about the dozen times I’ve come to this spot. My pants came down once on their own near here, so maybe the ghost is a bit of a trickster and he dakked me? There’s an impressive amount of debris lying around, so after some fossicking about and making sure my pants stayed up, I moved on. 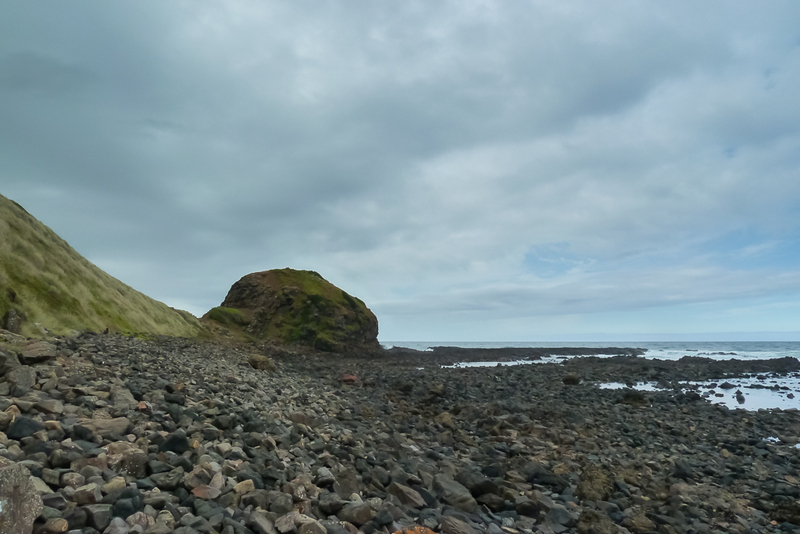 I strolled across Thorny Beach and then began to look for a track which climbed Helens Head. 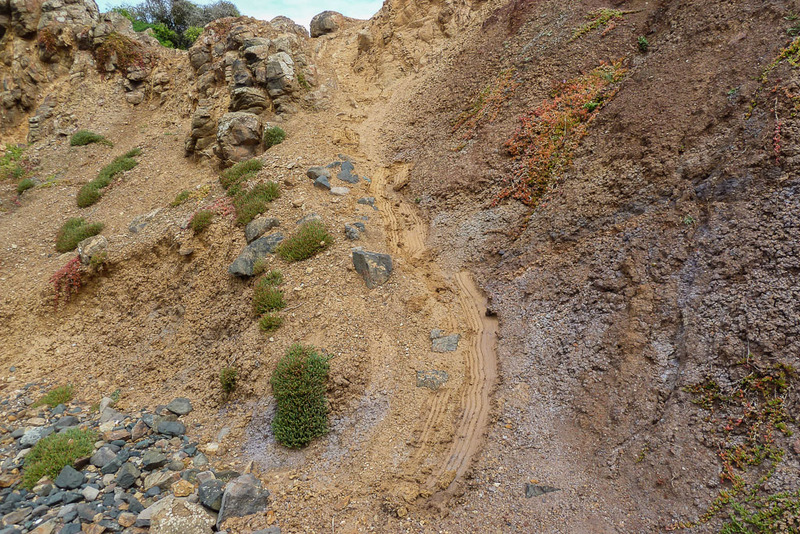 The track goes to the top of the cliffs for a short time, as parts of the coast are impassable at sea level. I found the path quite easily and began to stroll up. As I climbed, I made sure to look back, as there are expansive views of the coastline. I’m not sure who Helen is though to get a headland named after her? It’s volcanic, bulbous and rocky. I’m hoping Helen didn’t look like that, because if she did, she should probably be in a circus. 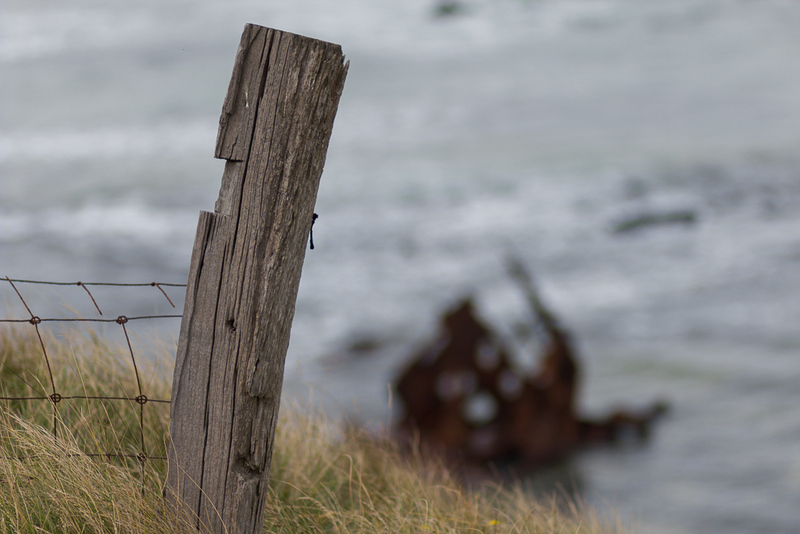 At the top of the cliff, found a fence line, which I began to follow. The main bonus is there was plenty of room between the fence line and the edge of the cliffs, so it’s comfortable walking. I must be starting to get a little fitter, as I strolled up the hill with minimal effort. Normally I’d be panting like a fool, but this time I was going alright. 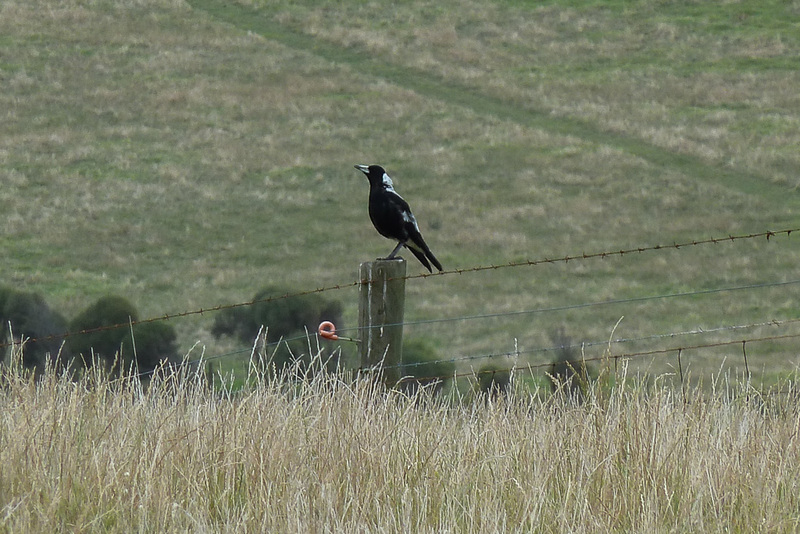 I was accompanied by a number of magpies flying around and then perching themselves on the nearby fence posts. Whilst strolling along, I saw something moving in the grass near the fence. 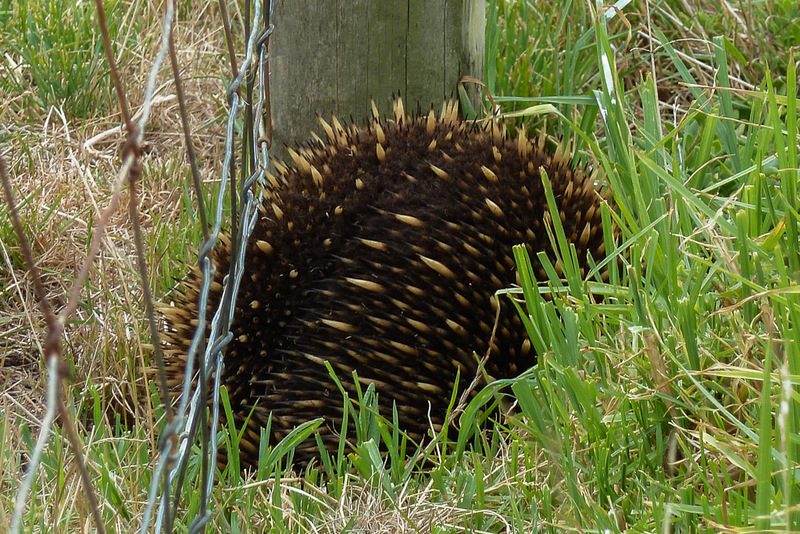 I moved a little closer and saw that it was an echidna. He was moving between the fence and at first I thought he was stuck. He wasn’t though, as began to dig a hole for himself under the fence. I stood back to take a few pictures hoping to get a good one of his face, but he started to go underground, so I left him alone. 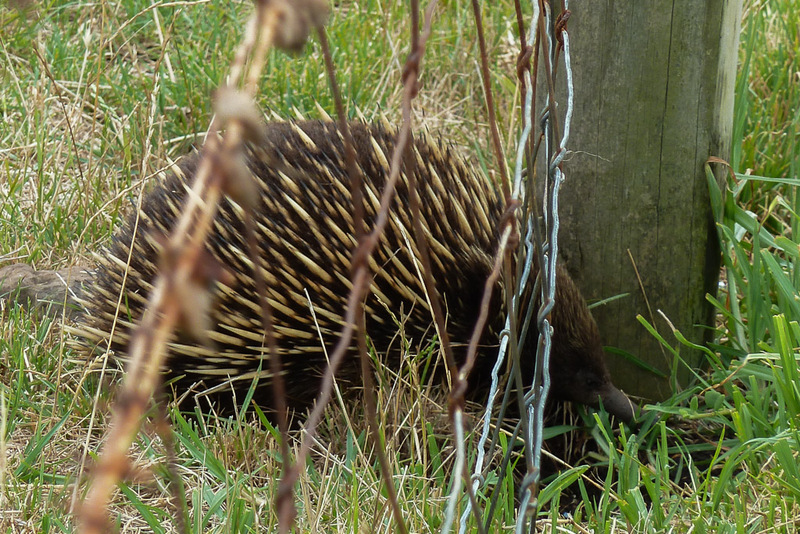 In all my trips to Phillip Island over the years I can’t say I’ve ever seen an echidna. There’s a first time for everything I guess. 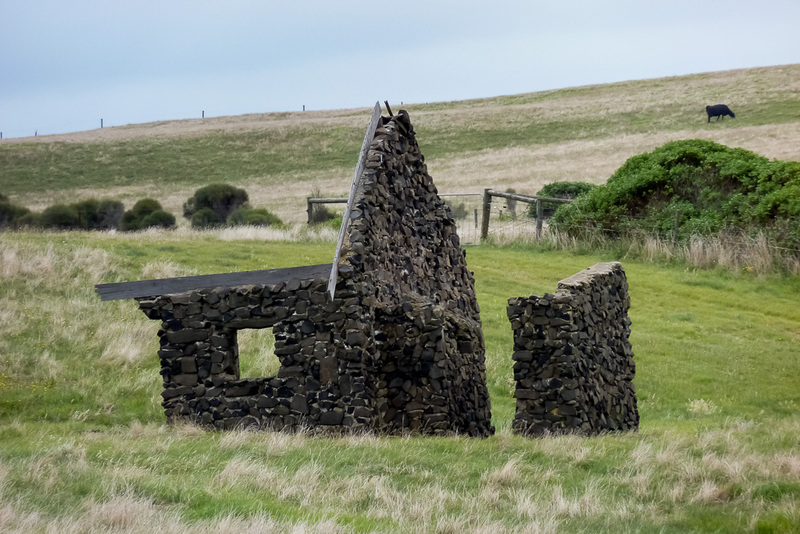 After that spiky interest I noticed an old ruin in one of the paddocks. It was an old stone building of some description. It’s a pity this sort of stuff is on private property, as some of these old buildings would be interesting to look at up close. I guess it would be at least a hundred years old? It was time to move on though and as I crossed Helens Head I could see my destination for the day being Pyramid Rock. 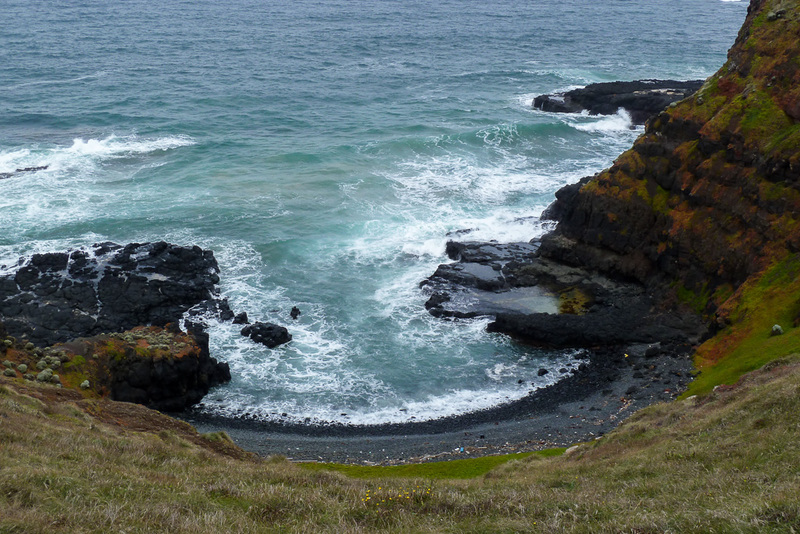 There was another headland further up though and it looked a bit too dicey in relation to where the ocean was. I checked my notes and read “…rock-hop and scramble around Wild Dog Bluff…” Mm…okay. Rock-hop? Scramble? Mind you, this is meant to be at low tide and right now with this ‘in-between’ stuff the coast line ahead looked impassable. 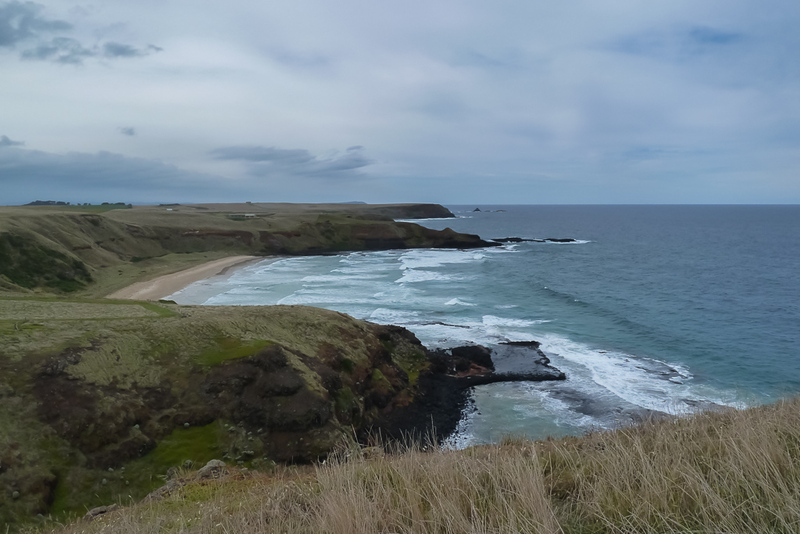 I had another beach to walk before Wild Dog Bluff so I began to look for a way down. 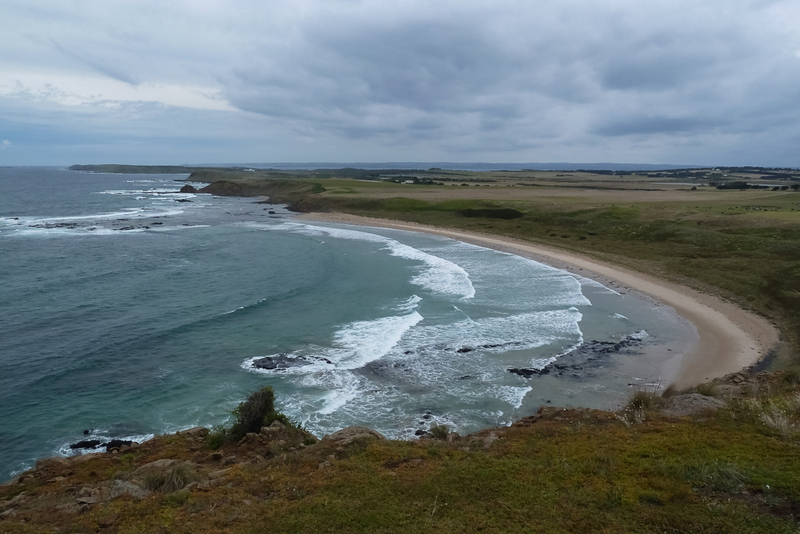 I found a gully to get down to the beach and I struggled a bit as the grass was wet and slippery. I carefully inched down, grabbing tufts of grass on the way for balance until I reached the sand. I was now on Hutchinson Beach and within minutes I found the standard find, which I’ve spoken about before. Yep, it was a shoe. This kept my ‘beach/shoe sighting’ ratio at about 100 per cent. I took a photo, making note there wasn’t a foot in the shoe. 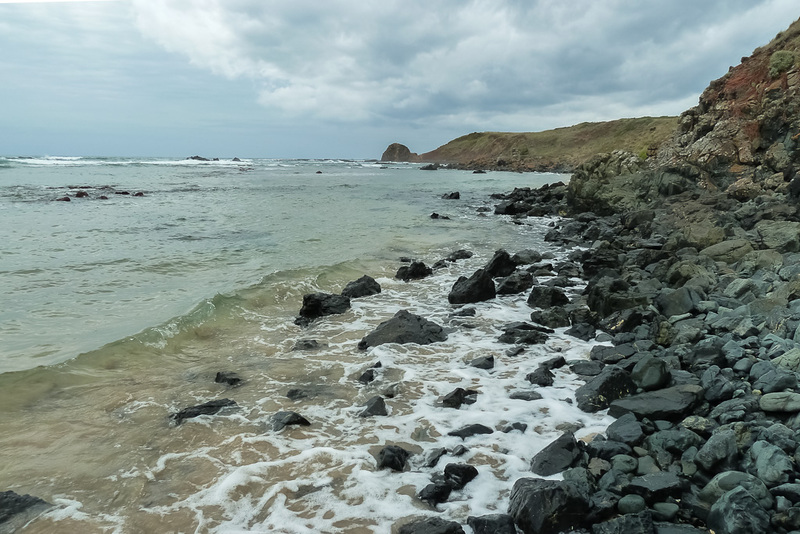 One never knows at Phillip Island, as a few years ago I found a piece of human spine in a rock pool. It’s an interesting story, but maybe for another day. 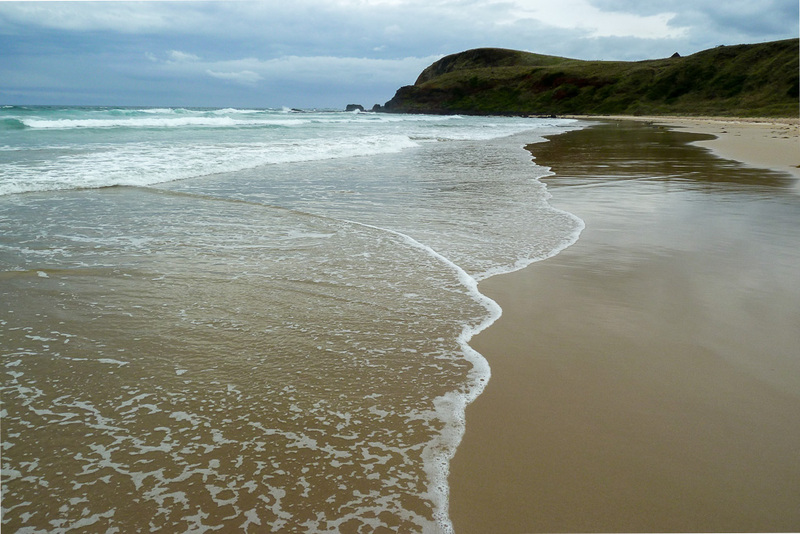 Hutchinson Beach is a nice secluded spot and I’d never been there before. A large house sits atop the cliffs and I was thinking the lucky bastards have a great location. Strolling on, I didn’t feel very confident about going much further. Water was coming up towards the cliffs and although there was a short area of dry rock I wimped out. Since my Croajingolong hike I’ve been insanely cautious about ‘rock-hopping’. I guess falling into the ocean with a pack on will do that. I had enjoyed myself though, so I didn’t mind having to turn around and go back. It also gave me an excuse to come back another day. As I retraced my steps, I began to get attacked by march flies. They have all sorts of names in other countries, but we call them that, or ‘horse flies’. What I find interesting is their size, which is similar to a pterodactyl in bulk and what seems like a mini chainsaw in their gob, which makes for a painful bite. They’re insanely dumb though, which is a bonus. They’d buzz around my face like Stukas and then latch onto dumb things like the back of my hand. One lazy, slow motion slap and they’ve been flattened. One was so slow I belted him out of the sky, whilst he was buzzing in front of me. As he hit the sand I did a celebration leap, bringing both of my knees to chest height, and then driving my feet down at supersonic speed onto his head. It was a slaughter, as beefy flies hit the deck, left, right,centre, sideways, backwards, forwards, vertically and horizontally. After taking names and kicking arse of flies, it was time to grab the tufts of grass again and climb back up to the top of Helens Head. 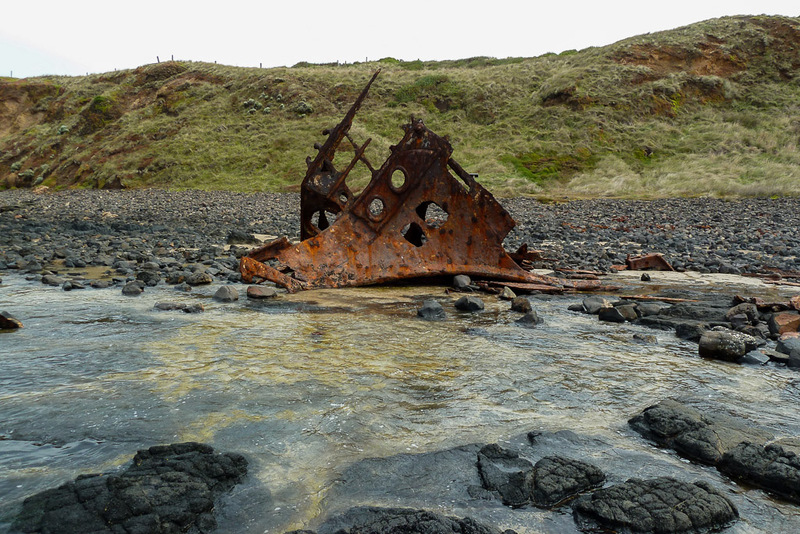 It was quite interesting walking the other way, as there was a small rocky beach I hadn’t noticed before. There appeared to be a nice collection of driftwood at the high tide mark, which would make for some good fossicking, but I elected to not climb down to have a look. It was a bit steep and I didn’t have the ‘climb down mojo’ at the time. Looking ahead, it appeared the ocean was closer than before. The tide was actually coming in! It was lucky I didn’t tackle Wild Dog Bluff (who makes up these names?) as I would have had problems trying to come back. I made a note not to spend time admiring toupees, but instead getting tide times in the future. Continuing down to sea level again, the tide had come in a long way compared to when I walked through earlier. I took it easy making sure I didn’t get wet feet. When I reached the SS Speke again, I noticed the water was right around it. I was a bit too scared to try and climb the clay slide, so I elected to go up to the top of the cliffs. It’s a nice view from the top anyway compared to beach level. 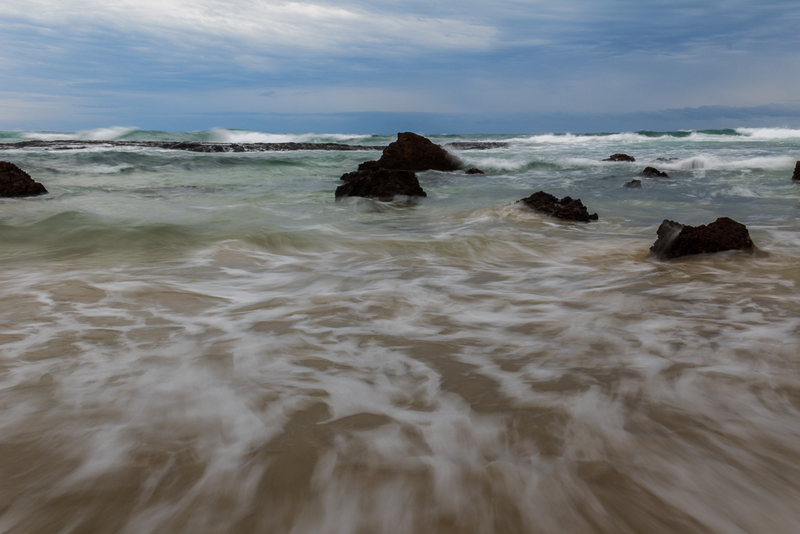 …before clearing the point and making my way down to Kitty Miller Bay again. Before I knew it, I was back at the car. 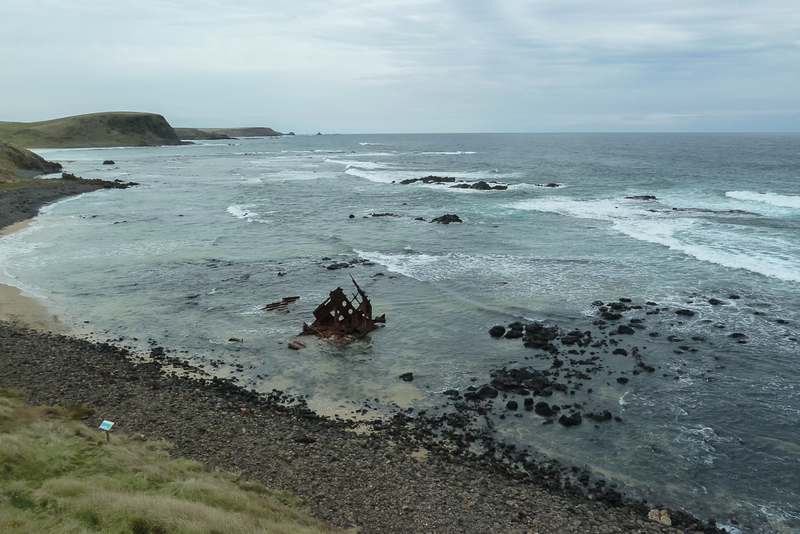 Just for the wreck of the SS Speke, Kitty Miller Bay, Phillip Island has always been an interesting place to visit. On the long drive back to Melbourne, I could reflect on an entertaining day. Lost goggles, lost shoe, echidna, mud slide and Slaughterhouse Fly (Get it?) I even had my pants still on, as I’d avoided the dakking ghost of the SS Speke. The weather was mild and quite warm, but it was time to head home and plan next weekends walk. 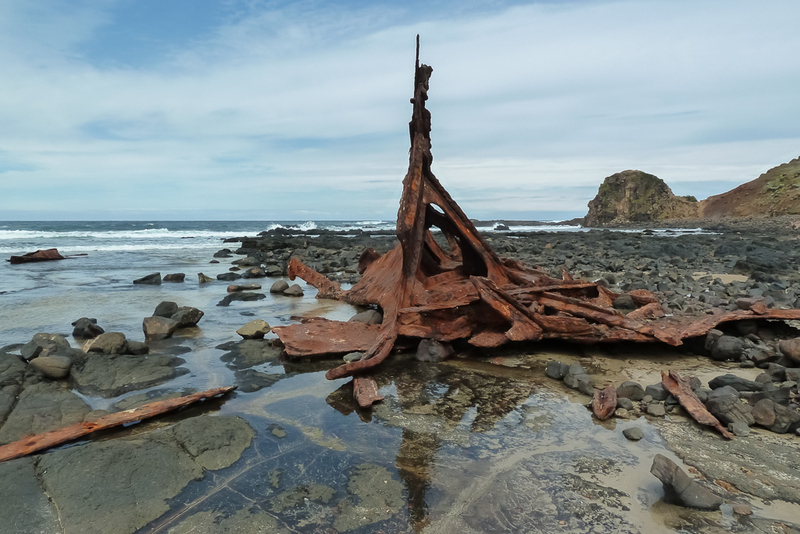 I’ve never been to Philip Island but the combination of shipwreck debri, an echidna encounter, stone buildings and interesting coastline sounds very appealing. You can keep the pterodactyl sized horse flies though. I have enough of them on my walks up here. Nasty buggers! I’m still waiting to see my first ghost so maybe I’d get my chance there?